Synthetic grass has received a fair share of criticisms since it was introduced in the market as an alternative to natural grass. Unfortunately, most of these criticisms were based on unverified assumptions and claims about its quality and safety. Even today, some of these misconceptions are still accepted by many as facts, which in turn prevents them from experiencing the true perks of synthetic grass. Here are some of those misconceptions and their corresponding truth. Most objects that are synthetic are often associated with environmental hazards, and it’s not difficult to understand why. These objects take a long time to decompose, which means there are more garbage being dumped in landfills than garbage being reduced to soil. This means it’s only a matter of time before the world runs out for space for dumping waste. Synthetic grass, however, shouldn’t be viewed the same way. After all, it is designed to reduce, if not completely eliminate, the wasteful and environmentally damaging practices involved in taking care of natural grass. For instance, synthetic grass eradicates the need for watering, which saves a household thousands of gallons of water per year. It also doesn’t require mowing, which prevents the use of gas-powered lawn mowers. Synthetic grass doesn’t require fertilizers to maintain its lush and green appearance, which helps preserve the good condition of the soil. So if you look closely, synthetic grass is more eco-friendly than natural grass in so many levels. Therefore, that idea that all synthetic products are bad for the environment should end once and for all. 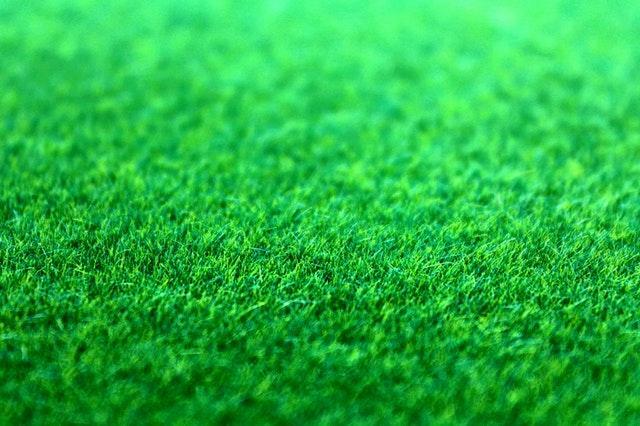 In fact, when synthetic grass expires, it can be recycled to form new synthetic grass, which spares a few square meters of land from being turn into a landfill. Earlier versions of synthetic grass were undeniably apparently artificial. But that was over 50 years ago. Today’s artificial grass mimics real grass so perfectly that you can barely see the difference. Yes, it will feel a little weird when you touch the blades as they do not easily break like real grass does, but that’s exactly the idea. Synthetic turfs are made to withstand both tension and compression so that they can serve their purpose for longer. Some people believe that artificial grass is not safe to play on for a couple of reasons. One, the blades are hard enough to cut them, and another, it can be too slippery when wet or even when dry. The truth is that the blades are made from a very soft type of plastic so they feel more like fabric than plastic. It also doesn’t get more slippery than real grass in certain conditions. Simply put, artificial grass is safe to play on. If anything, it’s so much safer than natural grass because it prevents the growth of poisonous or allergy-causing grass. Another concern is that the infill is considered by many as hazardous to health. A lot of people claim that it can cause cancer as what was theorized for a case of some football players in a certain school that allegedly acquired cancer for that reason. The truth is the infill is simply made of pulverized tires and nothing more. Hundreds of independent studies have verified that it does not pose a health risk, let alone cancer, to people or pets. There was no proven link at all. There are many other benefits that you can enjoy by using artificial grass. However, you have to keep in mind that not all products are reliable. Some are of higher quality than others, simply because they have different manufacturers and installers. Find a provider like Synthetic Grass DFW to make sure that the one you’re installing on your property will give you the most bang for your buck.